College Football is often about celebrating the old and tradition in general, but there’s always room for a little bit of glorifying the new, especially if it means much better stadiums. With the recent rush of stadium openings coming in 2014 (Baylor, Houston, Tulane), there are 10 stadiums in the FBS which have made their debuts in the last 10 years. Old Stanford Stadium was around from 1921 until it was demolished in 2005. The new one opened on September 16, 2006, with the race track removed and a reduced capacity (down to 50,000 from 85.500), but a much better atmosphere, and obviously up to modern standards of stadiums. 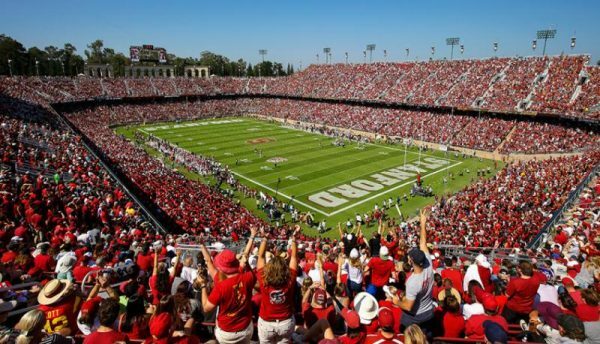 Stanford lost their opening game 37-9 to Navy, and their band wasn’t attending due to accusations of vandalism to a temporary trailer which formerly served as their rehearsal facility. The Bouncehouse, as it’s often called, opened in 2007, with the opening game on September 15, with UCF almost upsetting Texas, but losing 35-32 in front of 45,622. The record attendance in the stadium was in another loss, 27-7 to Miami, on October 17, 2009. The stadium replaced the Citrus Bowl as the home of the Knights, playing there from 1979 through 2006. The weirdly named stadium (four companies hold naming rights to various parts of the stadium) replaced the Rubber Bowl. Seating 30,000, the opening game was against Morgan State, beating them 41-0. The 27,881 in attendance is still the record in the stadium, although coming off a winning season (finally), maybe there’s hope of breaking it in 2016. 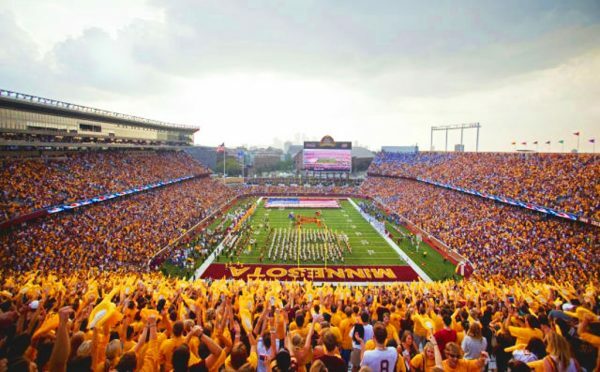 The first new stadium in the Big Ten since 1960 (when Indiana opened theirs), the Golden Gophers stadium seats 52,525 and is designed to support future expansion to seat up to 80,000, while boasting the largest home locker room in college or professional football. They broke their attendance record last season when 54,147 showed up for their game against TCU, ranked #2 in the nation when the season began. Minnesota lost. The Mean Green North Texas football team opened their new stadium against Houston, losing 48-23 in front of 28,075 fans, still the record attendance. Official home attendance figures for the team’s first five seasons at Apogee Stadium averaged around 18,492 per game, which is slightly under 60% of its capacity of 30,850. 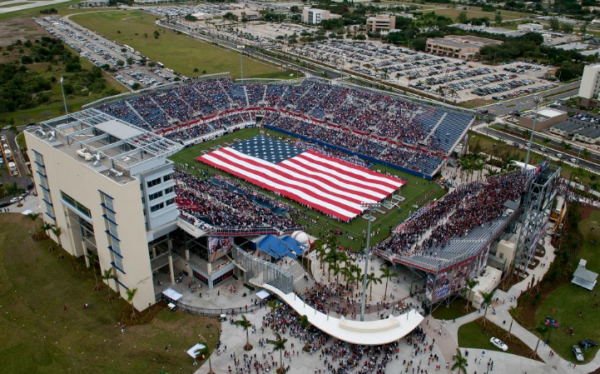 The Florida Atlantic Owls play their football in what they claim is the only stadium in the United States has a view of the open ocean, available from the pressbox and skybox. The Owls first game in the stadium was a 20-0 loss to Western Kentucky, and the 29,103 in attendance (capacity is 29,419) that day is still the highest in the years that have passed. The Charlotte 49ers will be playing in the FBS for only the second season in 2016, joining Conference USA last year, going 2-10. 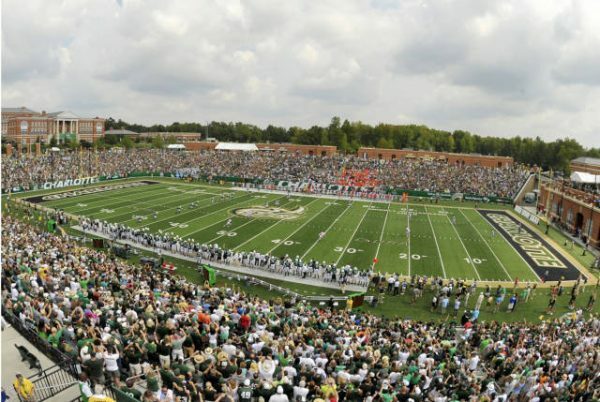 The stadium officially opened on the last day of August in 2013, as Charlotte beat Campbell 52-7. 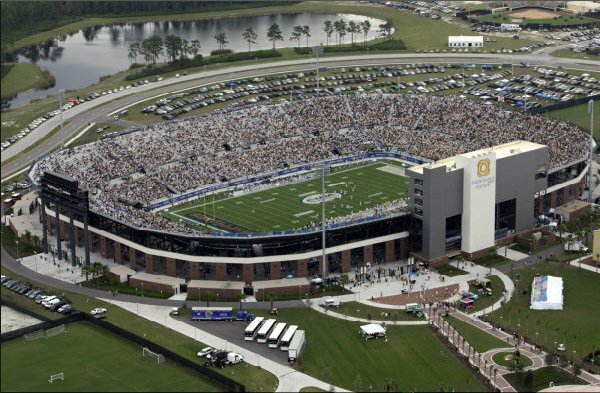 The 17,444 in attendance for their game against Florida Atlantic last season is the record for the venue that has a capacity of 15,314. 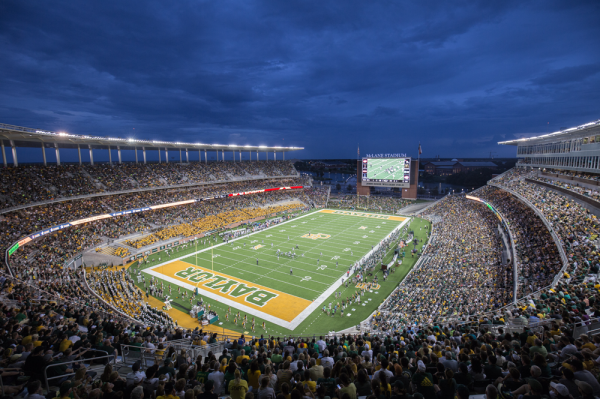 Baylor have lost just twice at home since moving to McLane Stadium, both losses in 2015. The stadium has a capacity of 45,140, with a record of 49,875 showing up to see them lose their first home game against Oklahoma last season. It replaced Floyd Casey Stadium, which was the home of the Bears for 63 years. 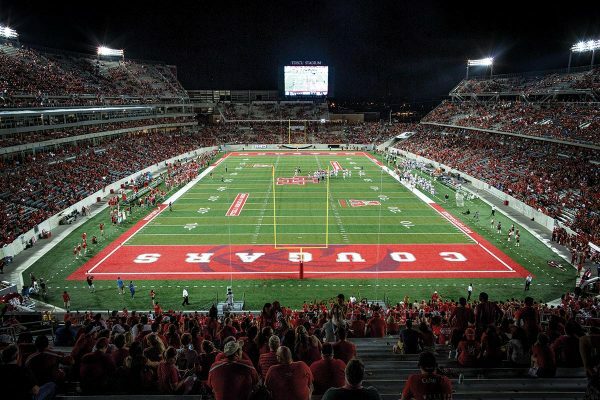 The Houston Cougars opened their TDECU era with a stunning 27-7 loss to UTSA, but after losing three home games in 2014, they went undefeated at home in 2015, including wins over ranked Memphis, Navy and Temple teams, on their way to an American conference championship and the Peach Bowl, which they also won. The stadium seats 40,000, with the record attendance being 42,159 showing up to see the 35-34 win over Memphis last season. One of three stadiums making their debuts in 2014, Yulman Stadium replaced Tulane Stadium for the Tulane Green Wave team, that opened the ground against Georgia Tech. The 30,000 (the stadium’s capacity) in attendance saw Tulane lose 38-21 to the Yellow Jackets. 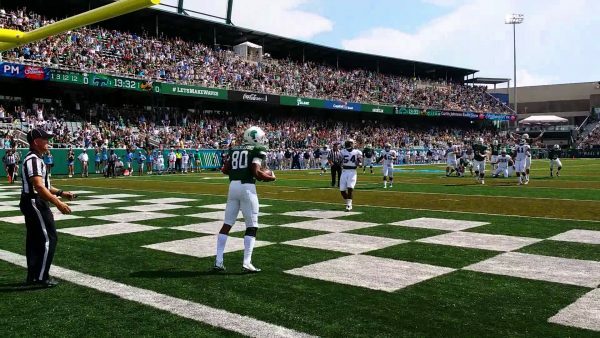 Tulane are 4-8 at home since moving to their new ground, only once selling out a home game.